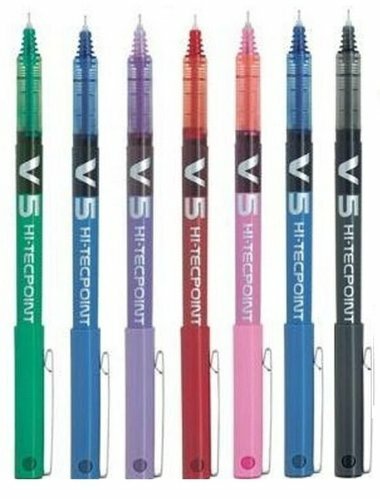 The Pilot V5 Hi-Tecpoint Cartridge System Roller Ball Pen is the first liquid ink pen with a cartridge system. What sets it apart from other refillable roller balls is that the tip and ink feed don't have to be replaced each time the ink is refilled. Instead, it uses ink cartridges, similar to a fountain pen.